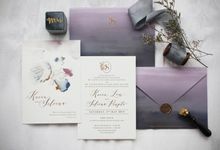 The Fine Press helped make my dream wedding invitation a reality. 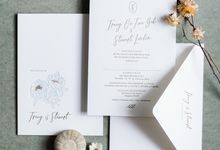 Being a designer myself, I am very particular over paper stock and printing quality of my wedding stationery and The Fine Press lived up (and exceeded) those expectations. 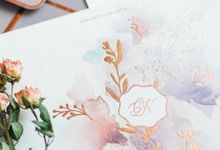 Jiahui worked together with me to ensure that our wedding invitation was executed according to the vision I had in mind, and it was one less thing for us to worry about when going through our wedding checklist. 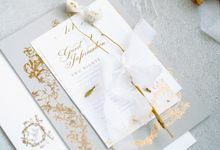 I've had countless guests compliment the invitation - some even said they would keep the invitation post-wedding! 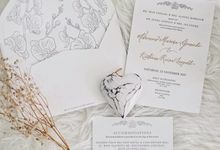 The Fine Press made our dream invitation come true! The result was just mezmerizing. All the guests loved it. And I have to commend Bev's thoughtfulness throughout the process. She's very attentive to every single detail. Very recommended! 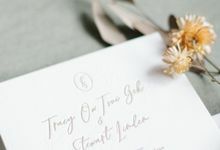 We engaged The Fine Press to produce our wedding invitations, and were more than impressed with their commitment to quality letter press work. 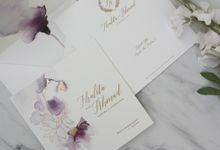 Bev was our point of contact, and she was very responsive during the design phase of our invitation cards. 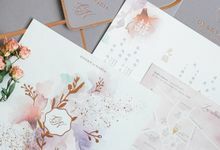 They were able to take the spirit of our ideas and turn it into something more. 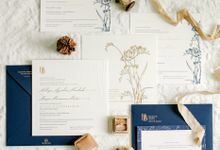 The cards were delivered in a timely fashion, and the final product really reflected their commitment to quality and uncompromising standards of workmanship. 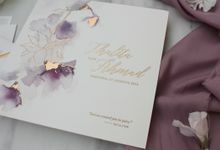 Even the envelopes were beautiful! All our guests were very impressed. 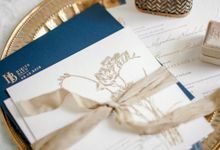 Highly recommended for couples who want to create something special for their big day! 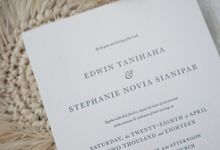 Finepress made a really fine letterpress printing. 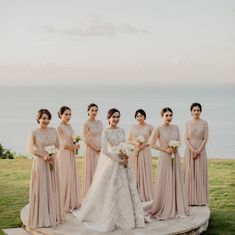 Their meticulous work impressed me! Not to mention that they are very responsible and responsive to client too! 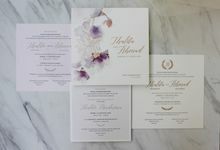 Thank you so much for making my dream invitation came true, Bev! 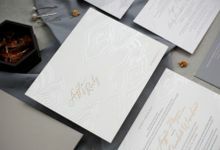 Custom-made We provide custom-made design according to client's preference and style requirements. 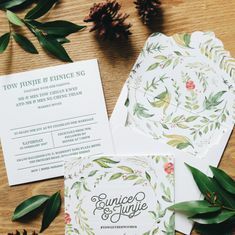 Alternatively, client can also engage their own designer while we focus on the printing aspect only. No . 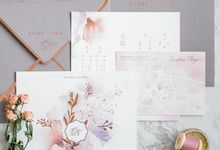 There is no minimum order but printing cost will decrease as volume increases. Yes We are based in Jakarta but ships worldwide. 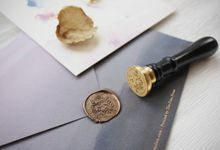 We have worked with clients from Indonesia, New Zealand, Australia and Singapore. 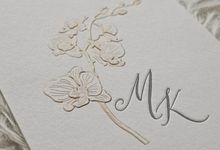 Classic, Elegant, Minimalist, Modern, Floral, Calligraphy & Watercolours. 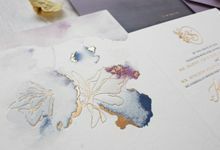 Depending on the complexity of the project, clients can expect 4-6 weeks of production timing upon submission of final design artwork. 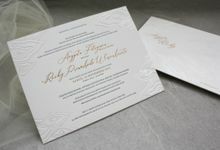 At least 3 months in advance would be great for the clients and ourselves! 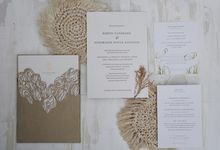 At The Fine Press, we use only specially imported cotton paper for our wedding invitations. 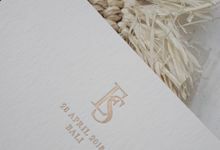 Cotton paper is soft and fluffy which allows the letterpress print to be perfectly indented into the paper, creating an intricate and luxurious impression. 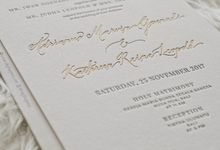 Apart from paper choice, our letterpress printing is produced on a vintage 60 years-old German machine which is no longer in production internationally. 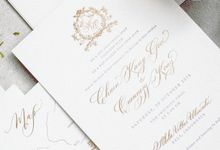 This adds exclusivity and splendor to our client's wedding. 50% deposit and balance payment before collection. 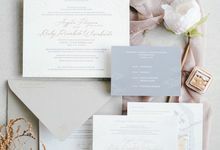 Our business started in end 2015 and we strive to always be a passionate letterpress printer that brings quality product to our clients! 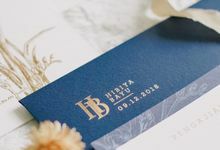 We are a Letterpress printer located in Jakarta and we work with highly regarded designers to produce art pieces for Letterpress lovers. 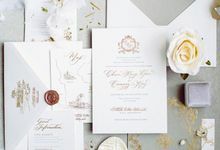 From elegant and classy wedding invitations to professional business cards, we are able to cater to your Letterpress needs with quality products printed on premium cotton paper using our Heidelberg Windmill, a method of printing that dates back to the 1400s. 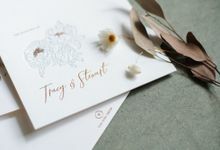 Letterpress lovers contact us today!